New York antiquarian book dealers Daniel Wechsler and George Koppelman are claiming that the heavily annotated 1580 dictionary that they won on ebay for $4,050 in April 2008 is actually Shakespeare’s personal copy. The Folger Shakespeare in Washington, D.C., has responded with cautious enthusiasm. 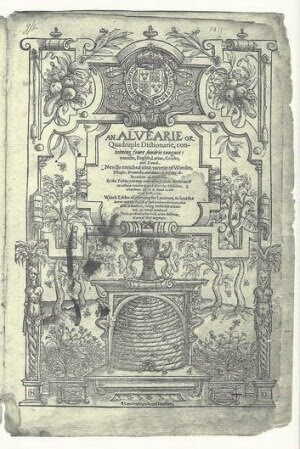 The dictionary—John Baret's Alvearie or A Quadruple Dictionarie (1580)—contains over 4,000 contemporary annotations, the nature and content of which not only point to Shakespeare’s plays and poems, but which also suggest that Shakespeare himself was the annotator of this volume. The Folger, considered by many to be they library of record regarding the works of Shakespeare, issued a statement saying that it is too soon to make such a definitive statement. “Scholars will be excited, as almost anybody would be, to hear that this book has surfaced, but will want to see a number of questions answered,” remarked Folger’s director, Dr. Michael Witmore. For instance, the book may represent the annotations of a publisher preparing an updated edition of the dictionary. The handwriting needs to be compared not only to Shakespeare’s, but also to those of other contemporary annotators, before a definitive determination can be made. Did this 1580 dictionary, with thousands of contemporary annotations, belong to Shakespeare? 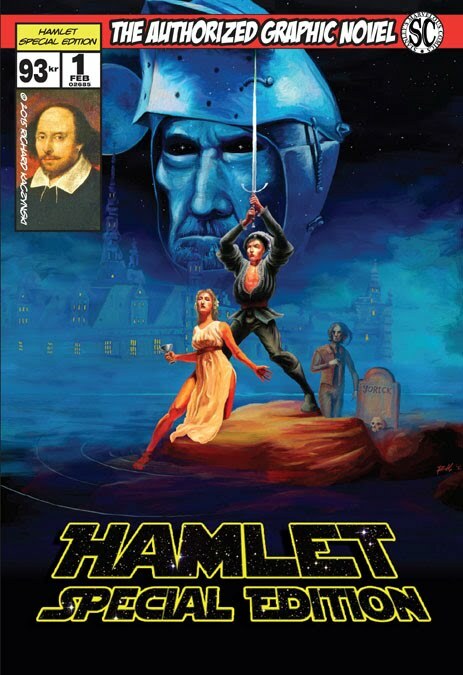 Or might it be a publisher's copy marking updates taken from Shakespeare's newest plays?